On September 21, 1962, Victorville was officially recognized a city in the San Bernardino County, California. The city might have a border with the Mojave Desert, but this hasn’t affected its human population adversely. The 2010 United States Census shows that the city had a population of about 115,903. The climate of Victorville is a unique one largely due to the impact of the closely located Mojave Desert. Many enterprises operate within the city without the location of the city doing any damage. With the hullabaloo associated with residents going about their normal routine, undesired situations such as a hit and run accident, wrongful death, workplace injury and many more happen. Resolving many of these situations will often require the input of the court, and Rawa Law Group is offering victims the opportunity to get justice through adequate legal assistance. A hit and run accident isn’t what any passerby or car owner would be elated about. Getting a hit and run accident claim is much more complicated since the guilty party has absconded. With some legal representation, you can decide the next line of action regarding your claims and possibly, convince the insurance company to pay up. At Rawa Law Group, we have experienced attorneys who understand how to handle hit and run accident cases. A work injury isn’t something unusual especially in situations where employees have to deal with tasks that are physically exacting. If injuries occur, the concerned workers should be taken care of through compensation insurance for workers set up by the employer as stipulated by law. However, there are cases where a denied workers compensation claim is observed. This can be repealed by the relevant state agency if the worker takes the necessary action. 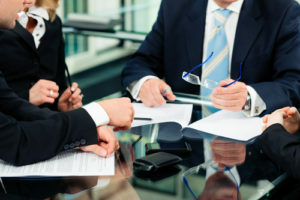 Rawa Law Group can assist you to get a reasonable decision from the agency through the groundwork of our informed staff. It’s possible for a lot of people to be at the receiving end of a defective product or the misconduct of another person. Class action lawsuits assist victims in this sort of conundrum deal with the erring party and get compensation for their pain. At Rawa Law Group, we have the attorneys with the expertise required to take on a class action lawsuit and win. The importance of being gainfully employed can never be overemphasized. It helps you settle bills without having to solicit for funds through family members and friends. However, when an employment contract is terminated, the feeling could be unpalatable. If you’re a victim of an unlawful termination where your employer breached the terms of engagement, you can do something about it. Our attorneys at Rawa Law Group are willing to fight for your right and ensure you get justice. It’s often said that there’s ability in disability, and the constitution seems to agree with that. Disability discrimination shouldn’t be happening when there are laws put in place to checkmate such infractions. Yet a lot of people have been at the center of humiliations of this kind, and very little has been done to help their situation. If you or a loved one has been a victim of discrimination due to a disability, attorneys at Rawa Law Group are ready to take action in ensuring your rights are respected. Despite the number of sensitization campaigns done on the effects of driving under the influence, a lot of people still engage in such an act. Drink and driving accidents are notorious for the high number of death on roads in California. Many of the culprits have only gotten a slap on the wrist as many victims have failed to take the necessary action regardless of the pain they feel. If you are a victim of accidents of this kind, Rawa Law Group is giving you an opportunity to get adequately compensated for the injuries incurred and damages done. Firefighters are essential towards controlling the effects of wildfires. While struggling with their job, injuries and accidents are likely to occur. The party at the center of the claim depends on the circumstances surrounding how the injury was sustained. If it happened during training, the employer would be the one to cover the claims, and the insurance company takes responsibility during a fire outbreak. At Rawa Law Group, we have attorneys specialized in resolving accident claims of this kind. Working overtime isn’t everyone’s turf, but the extra money could a go a long way in solving problems that arise. When an employee is faced with the possibility of an unpaid overtime, the situation could be catastrophic. Without this extra money, the bills meant to be paid are left untended. While making an unpaid overtime payment claim needs to be substantiated, the employer has the burden of disproving that claim. Rawa Law Group can help you make that a herculean task for your employer. Just reach out to us, and our attorney will take it from there. A death claim at work isn’t something anyone wants to happen. It’s traumatic, and the working environment can never be the same again. If a loved one to the deceased feel it’s a wrongful death situation, they can sue the employers and request for a settlement claim. While allegations like this have to be substantiated, the employers would often do everything within their capacity to wriggle their way out of such a situation. Having a wrongful death attorney can ensure the truth surrounding the death of the employee is revealed. At Rawa Law Group, there are competent attorneys in our employ willing to handle wrongful death claims. A slip and fall accident can occur at any time. If it happens on another’s property resulting in an injury, a settlement claim can be instituted against the owner. Both parties have to prove their argument beyond any reasonable doubt. The onus is on the owner to debunk the claims with substantial evidence and witnesses to buttress same. Lawyers at Rawa Law Group understand the ideal approach required to ensure the owner is found culpable for the altercation. Whatever the situation might be, the attorneys at Rawa Law Group are open to providing legal advice and representation for a quick resolution. Just contact us today on 1844-444-140. We will be glad to hear from you.